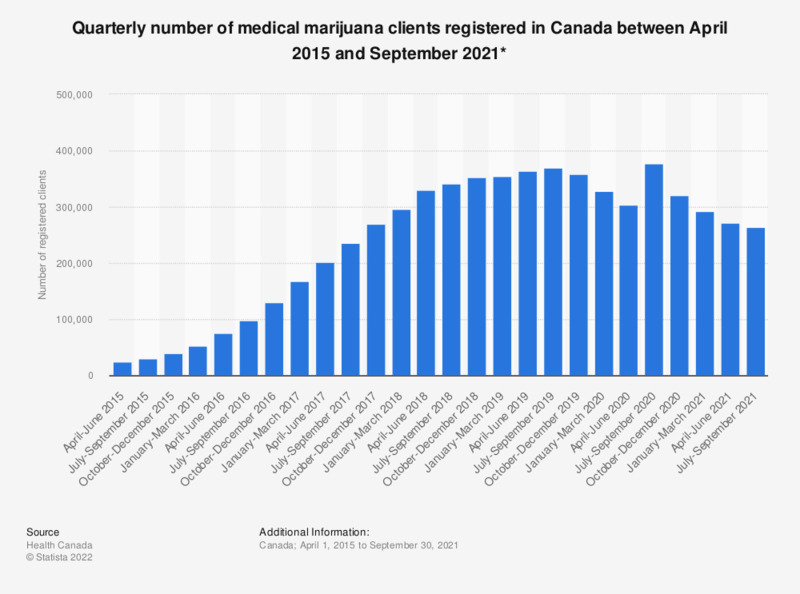 This graph shows the quarterly number of medical marijuana clients in Canada between April 1, 2015 and September 30, 2018. At the end of the quarter April-June 2017, there were 201,398 registered medical marijuana clients in Canada. * Total number of clients registered at the end of each quarter.